Obituary for Anne B. 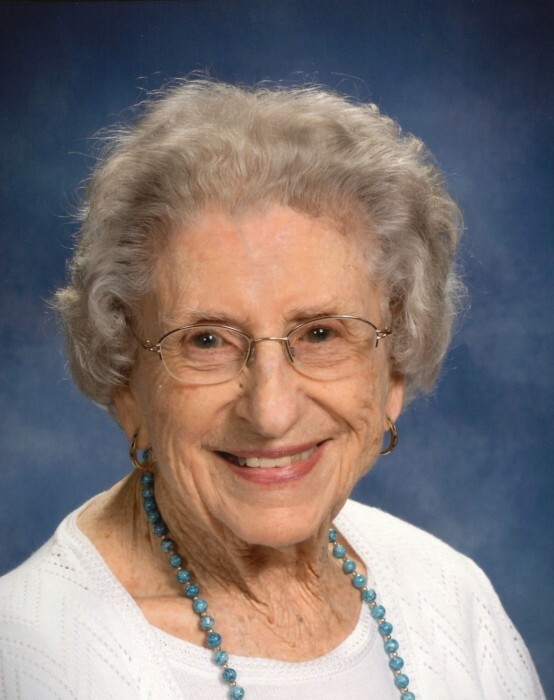 Little | DellaVecchia, Reilly, Smith & Boyd Funeral Home, Inc.
Anne Brown Little of West Chester passed into eternal life on August 13, 2018 at the age of 100. Born April 28, 1918 in Ardrossan, Scotland, she was the daughter of the late Thomas and Margaret Frew Brown. She was preceded in death by her husband of 64 years, William Little and her brothers, Joseph and Archibald. Loving Mother to Joanne Little Stephano (Christopher) of Audubon, PA and William Little Jr., (Deborah) of Philadelphia, TN; four granddaughters, Heather Stephano Heckler (Michael) of Havertown, PA, Suzanne Stephano Thompson (Mark) of Pottstown, PA, Amanda Little Bruce of Lenoir City, IN and Pamela Little Guinn (Tim) of Philadelphia, TN; nine great grandchildren, Eric Heckler, Andrew Heckler, Brian Heckler, Garrett Thompson, Timothy Thompson, Isabel Bruce, Emma Bruce, Ava Guinn and Olivia Guinn. Anne arrived in the United States on her 7th birthday and was raised in Norristown, PA. She moved to West Chester in 1940. She worked for the County of Chester in the offices of Soil Conservation, Safety Council, Child Services and retired after 25 years as administrative assistant in the coroner's office. She was a long-time member of the First Presbyterian Church, Eastern Star, Business and Professional Women's Association and the Chester County Antique Car Club. Anne enjoyed cooking, baking, sewing, ceramics, knitting, quilting and reading. She and Bill loved to travel and after she retired, she loved being in Ocean City, NJ in the summer. Relatives and friends are invited to her Visitation on Monday, August 20, 2018 from 10:30-11:30am at the First Presbyterian Church of West Chester, 130 W. Miner St. West Chester, PA 19382; followed by her Memorial Service at 11:30am. In lieu of flowers, contributions may be made to the Michael J. Fox Foundation, P.O. Box 5014, Hagerstown, MD 21741-5014 or charity of one's choice.